American Romance novelist, Kay Hooper envisioned her career a bit differently when she was younger. She was born in California, but her family quickly moved back to their home state of North Carolina after her birth. Her father was stationed in a California Air Force Base when she was born. In her family of five, she was the oldest child. Her original thought was to take business classes at a community college, but quickly decided that business did not do anything for her interests. After enrolling in some history and literature classes, her focus turned to writing. Her first novel was purchased by Dell Publishing, entitled Lady Thief. 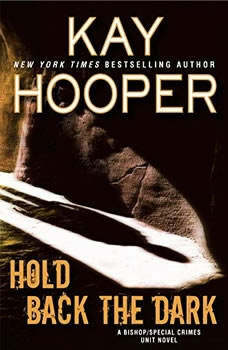 Her mother became her personal assistant, and Hooper has had more than 60 novels published. After her mother's death in 2002, her sister Linda became her business manager, publicist, and events coordinator. Kay Hooper lives the small town life in North Carolina, where she fosters cats and kittens for the local rescue organization. Her family lives close by, and she has many cats and a couple of dogs. She has Kay's Pets Page for readers to view her pet family.